All too often, anchoring is more about being center-stage than it is about journalism, and more about being the object than informing people about a subject. In some ways, the anchor and the beauty queen are logical companions. And so are politicians. It makes for quite a ménage-a-trois. Imagine being all three at almost the same time? That’s the amazing trifecta pulled off by the one-time Miss Wasilla, former television sportscaster, former Governor and, to the continued disbelief of many, Vice Presidential candidate Sarah Palin. Sarah’s willingness to answer the call, hit the mark and take center-stage created a “made to order” partner when Senator McCain needed a political make-over. In some ways, they were perfect for one another. Both had no problem confusing objectification for admiration. He apparently couldn’t stop that throw-back behavior, and she certainly wouldn’t. No surprise, though, that Sarah’s center-stage play had another act when, in February of 2010, she joined Fox News. For those of us who come from the Bible Belt, where the beauty queen is the equivalent of the almost-Godlike football quarterback, it didn’t take a genius to see Sarah was a woman of her times. But that is the thing about time, it comes and it goes. As the seasons go round and round, eventually, even the self-assured beauty queen or the all-star quarterback gets exposed if he or she doesn’t do their homework. No matter how much we like watching their lips move, their fingers wag, their hair doe or their dander up, eventually someone will notice that the words emerging from between those pearly whites just didn’t make a lot of sense. Lately, however, Americans sure seem to take their sweet time spotting the empty containers. It must be (in part) because there are so many to choose from. It’s easy to hide in a very noisy, large crowd. But it’s harder to stand out, too. And Sarah stood out—gosh-darn it—mainly because she had a well-honed, folksy charisma. The cameras were drawn to her like a moth to a shiny, sparkling tiara. Even under constant scrutiny, the heavy head that once wore the crown refused to put something as trivial as American history into it. While becoming a walking bumper-sticker for the Tea Party’s anti-intellectual contingency, this former beauty queen never proclaimed to want world peace. But, by God, she sure did want that old, worn out birth certificate. Seems it is possible to fool some of the people some of the time, particularly when you climb up onto a big-bully-pulpit like Fox News. However, by the time anyone notices, a slaughterhouse worth of damage can get done. And Sarah—never eager to preach issues that unite us—seemed much fonder of burning the village even while believing she was saving it. Despite the real possibility of being a heartbeat away from the presidency—by all accounts and by simply watching her navigate at the time—she never equated patriotism and love of country with knowing her own country’s actual history. Even when she got it wrong, she stubbornly refused to admit it. And the old saying that “God helps those who help themselves” didn’t seem to apply in her case. Apparently, God didn’t require much intellectual ambition as Sarah climbed the ladder. It was painful to watch. Especially for women who believe being pretty does not exclude being smart. Most of our grandmothers told us, “Pretty is as Pretty does.” But Sarah Palin’s heart did not seem very pretty and her intellectual laziness belied her polished exterior. All hope of Palin’s success faded when Katy Couric (often sitting with pretty legs on display) asked Palin what she read to stay informed. Easiest question in the world, right? It is if one reads. But Palin couldn’t answer it. Like all fundamentalists everywhere, she reacted to criticism with steely indignation. After all, the good beauty queen, politician and future anchor is taught never to show weakness. When criticized for her answers—she took the coward’s way out, by blaming the question and questioner and desperately re-directing attention toward those ever-ready-divisive wedge issues. The wedge issues were the safe ground on which to make her combative stands. Watching from the outside, it felt as if we were walking right back into the impossible contradictions of the 1950’s—the baffling world of our mothers in which women were taught to be pretty and not study too hard. She’s since explained that she believes in her ability to relate to people (voters). And here I pause because voters need to understand democracy depends on their own hard intellectual work. Politicians and anchors should be held to a much higher standard than a former Miss Wasilla beauty queen—but, sad to say, in Sarah’s case, she was not. Even with all the breaks she got—time and again—she still claimed she was a victim. It was an amazing pattern of delusional behavior. Instead, Sarah Palin ended up reinforcing the stereotype that told women their words don’t matter nearly as much as the plumpness of their lips or the fecundity of their hips. Even after a book, a reality show, dragging her family to center-stage—it rarely felt like she was doing it all for the Christian good of the nation. She may have felt chosen by God, but it was the limelight she seemed to crave. That’s why it was so disconcerting to watch her be so full of promise and so bereft of book learning. But these are complicated times. Sarah Palin, sadly, was not enough. The most amazing aspect of the story is that someone at Fox News finally noticed. Gallery | This entry was posted in On the Media and tagged Beauty Queen, Palin and Politics, Palin leaves Fox, Politics and Anchoring. Bookmark the permalink. She was a great Goveror. We need more people like in public office…and she knows how to balance a budget; something congress, senate and the president can’t do. besides that…who doesn’t like a good looking gun tote’n mama! Leslie, a nice but rather sad commentary on our culture which tends to fixate on false idols. We seem to have an obsession with beauty and thus beauty can do no wrong. But eventually ignorance shows–no matter how beautiful the person. Beauty over brains is fine if one aspires to be a magazine model–not so good for a potential Vice President. 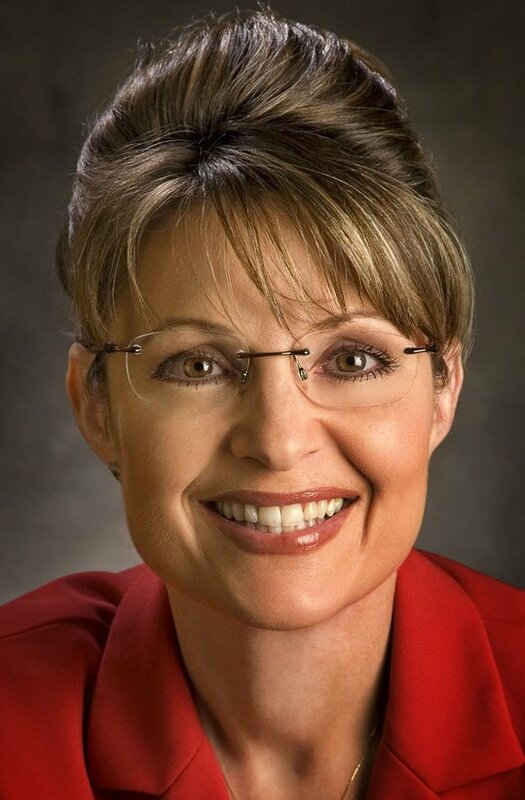 In Ms. Palin’s case she seems to have been a victim of her own bravado, as well as her impoverished frame of reference. By the way I loved the insert of the “Higher Ground” hymn. Can’t believe the Country put up with Sarah for so long! It seemed as though ‘we’d lost our minds’!